The College of Business Undergraduate Advising and Student Resources Office is the advising office for all lower-division business students. If you're enrolled in the upper-division program (i.e., taking 300- and 400-level courses) or a graduate program, your advisor is located in the OM&IS department. To schedule an advising appointment, please call 815-753-6372 or stop by the OM&IS department, Barsema Hall 328. You should meet with your advisor at least once a semester to review your degree plan and course schedule, and to explore career choices and internship opportunities. If you're pursuing a graduate degree or certification, Mr. Devereaux can meet you at either the DeKalb or Naperville campus locations. Hours are generally 8 a.m. to 4:30 p.m., but alternate plans can be arranged. Schedule an appointment with your advisor each semester. Get an appointment early in the semester. Waiting until the schedule is available on MyNIU can cause a delay in getting a timely appointment. Declare your major as early in the semester as possible. Changing your major at the end of a semester, after registration has begun, may prevent you from graduating on time. Declared majors have first priority in course registration. Review your Degree Progress Report (DPR) each semester through MyNIU. You are responsible for your graduation requirements. The DPR is prepared by Registration and Records, the office that will do a final check on your academic requirements for graduation. Make sure encumbrances are removed prior to registration. You will not be able to register unless they are addressed. Keep any and all advising paperwork (including DPR and a current transcript), so you have a complete record of your academic history. Ensure that your address is correct with Registration and Records. If an advisor needs to contact you for any reason and the correct information isn't in the computer, it could be detrimental to your academic career. Declare your major early (if necessary) while in UBUS 310. Declared majors have first priority in course registration. Changing your major at the end of a semester may prevent you from getting the courses you need to graduate on time (because of prerequisites or closed classes, etc.). Once you begin UBUS 310 and start the upper-division major courses, your advising office will change from Undergraduate Advising and Student Resources to the OM&IS department. 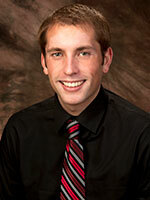 The OM&IS advisor is Russ Devereaux, whose office is located in Barsema Hall 328A. You can contact him at rdevereaux2@niu.edu or 815-753-6372. Set a goal to get career-related experience through an internship. Visit the OM&IS department internship web page, attend the OM&IS Meet the Firm Night held each September and register on Huskies Get Hired. Get involved on campus to gain leadership experience. Consider joining the Association for Operations Management (APICS), the Association for Information Technology Professionals (AITP) or the OM&IS Student Advisory Board (SAB). Apply for scholarships. Applications for OM&IS scholarships are due at the end of February. Review your Degree Progress Report (DPR) each semester. You are responsible for your graduation requirements. If you believe your DPR contains an error, contact Russ Devereaux at rdevereaux2@niu.edu. Once you have 90 hours earned and know when you're graduating, apply for graduation on MyNIU. Please be aware of the strict graduation application deadlines. Review your Degree Progress Report (DPR) with your advisor the semester before you graduate and the semester of your graduation. Remember that you are responsible for your graduation requirements. The DPR originates from Registration and Records, the office that will do a final check on your academic requirements for graduation. Access your DPR through MyNIU. If you have used financial aid, schedule your exit counseling. Sign up for on-campus recruiting (a service available to graduating seniors) through Career Services. You must attend an orientation session. They're held at the beginning of each semester. Take advantage of all the companies who come to campus to find outstanding NIU graduates! Attend the OM&IS Meet the Firm Night held in September to start your job search. Register with Huskies Get Hired to obtain more links to hiring companies and to post your resume. Read all mail and meet all deadlines in regards to the graduation ceremony. Commencement information is posted on the Convocation Center website.